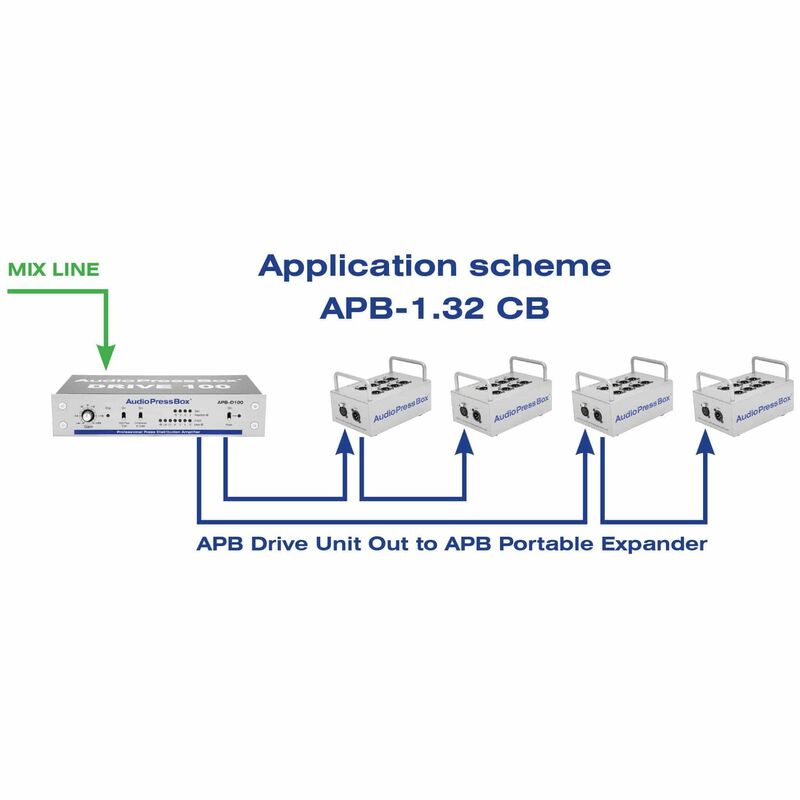 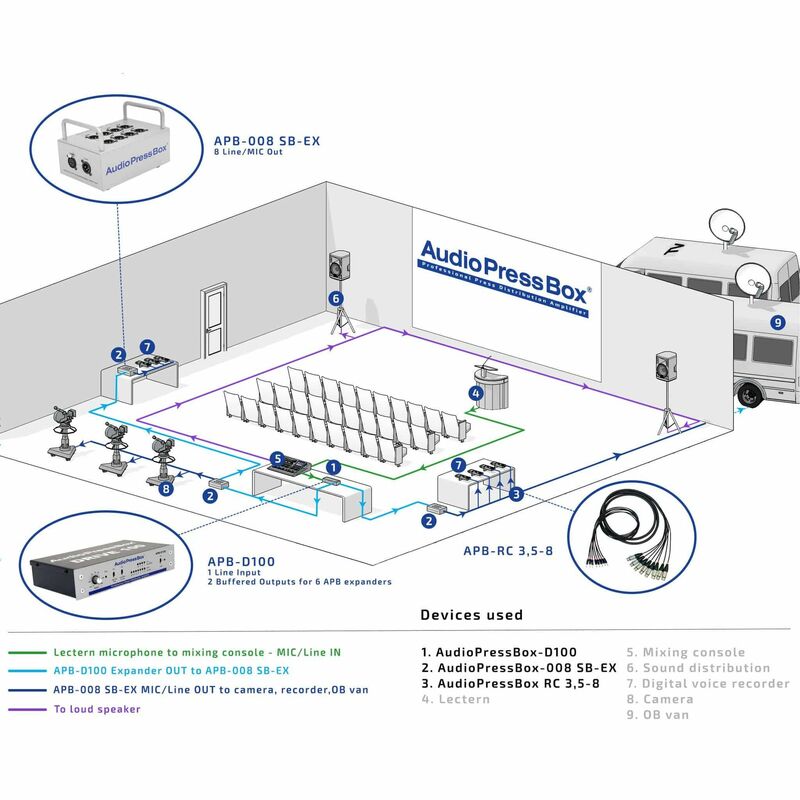 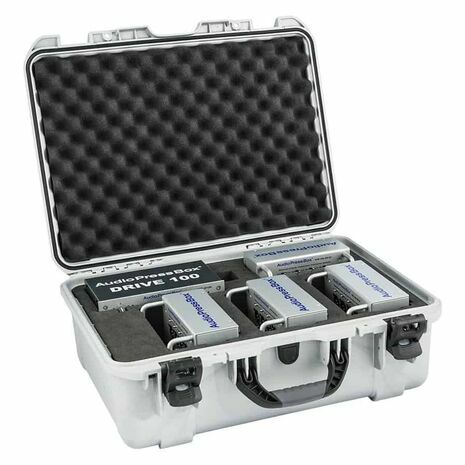 A professional portable active press box bundle consisting of a AudioPressBox drive unit and AudioPressBox portable expanders. 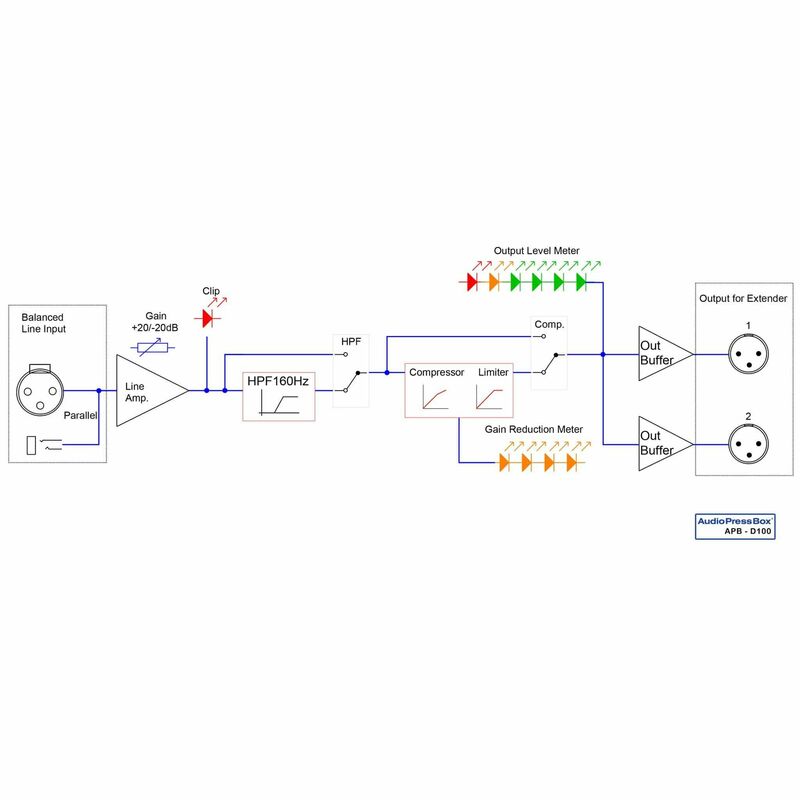 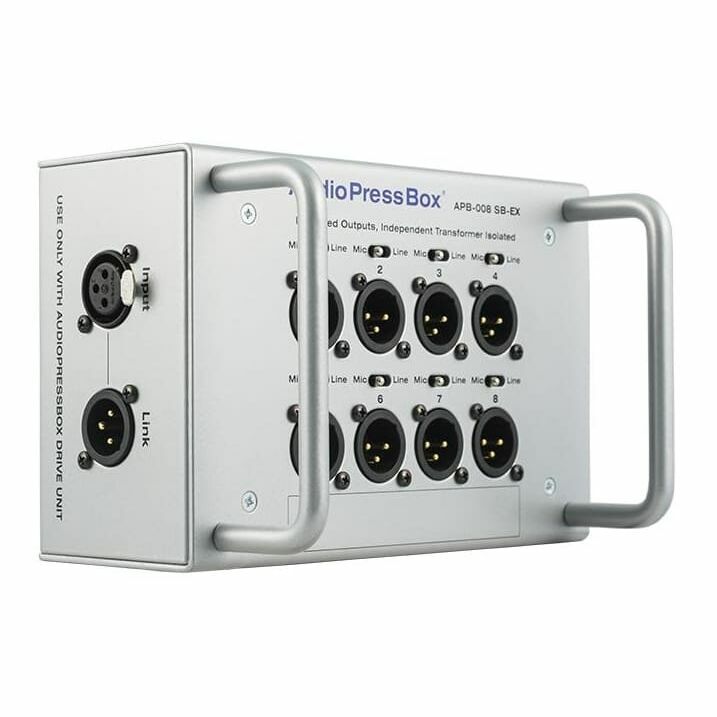 It features 1 Line Input and 32 Line/Mic Outputs. 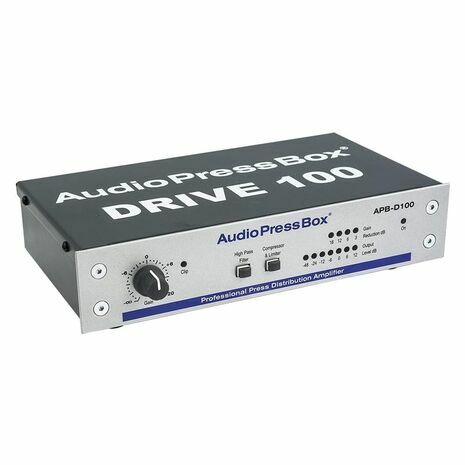 The drive unit has 2 buffered expander Outputs and can power up to 48 Line/MIC Outputs. 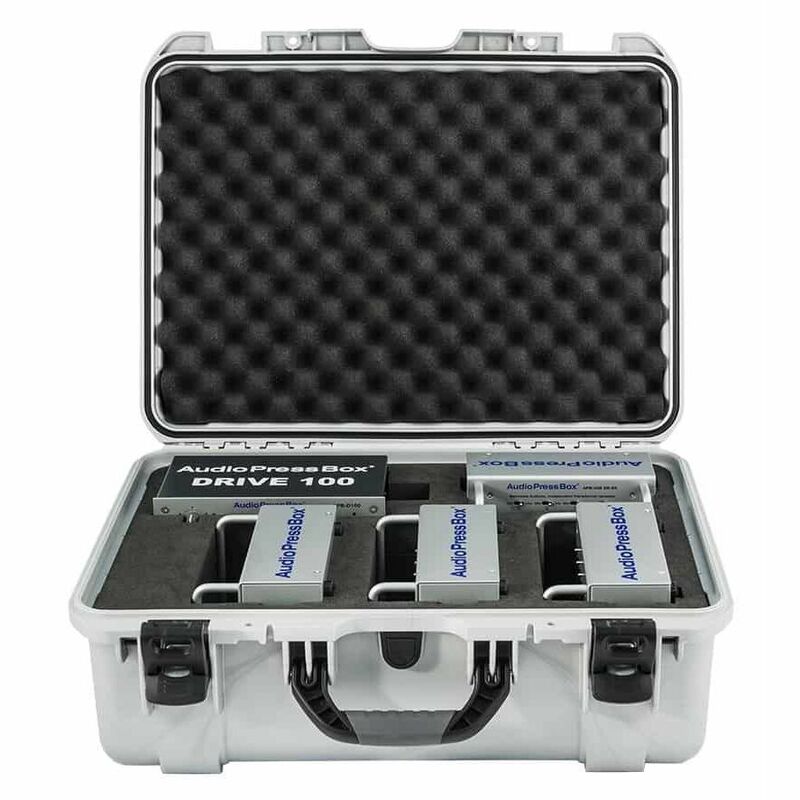 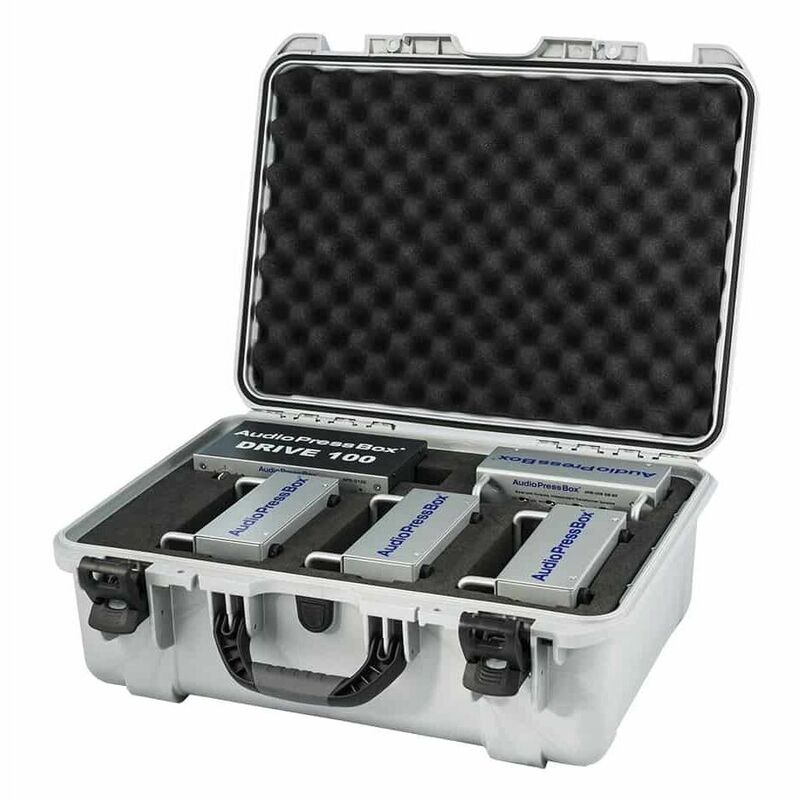 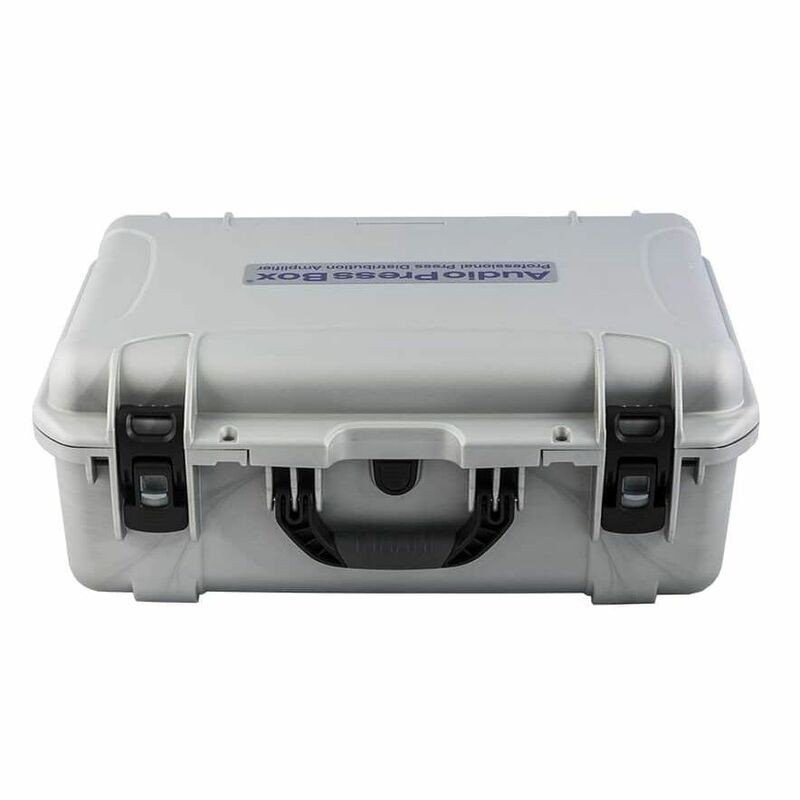 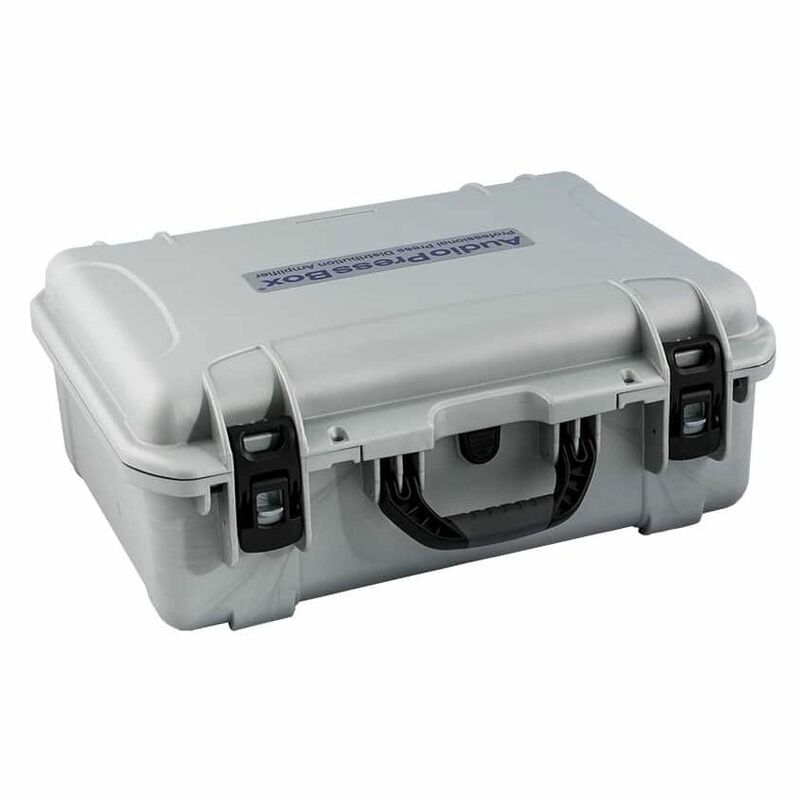 You can connect any of our expanders to the drive unit not only the ones in the case. All of this is placed in a waterproof, heavy duty nanuk case. 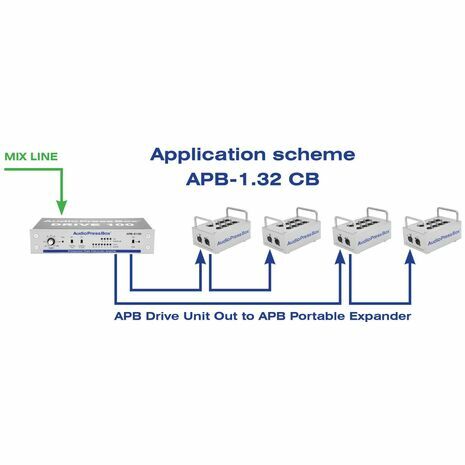 The biggest advantage of this bundle is that you can daisy chain the portable expanders in 2 directions. 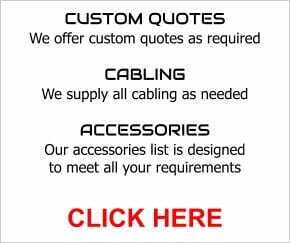 The total length of the cable in each direction can go up to 500m so you can easily cover any type or shapre of a conference room. 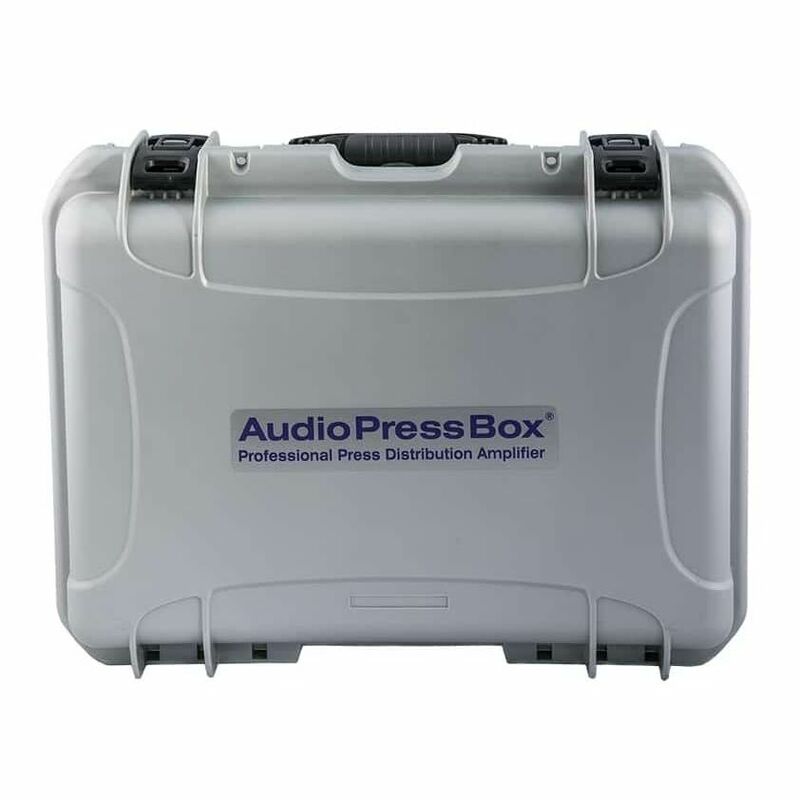 Pack includes 4 AudioPressBox expanders with 8-outputs each. 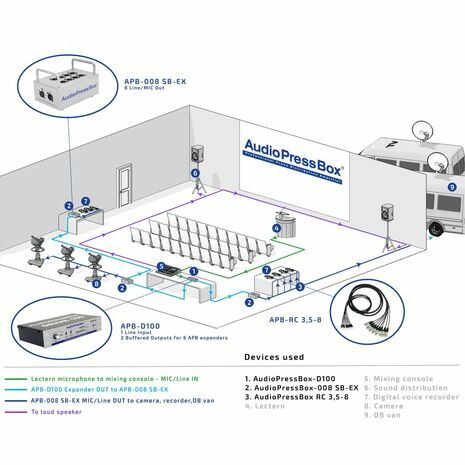 8 High quality balanced Outputs, independent transformer isolated and switchable LINE or MIC Output level. 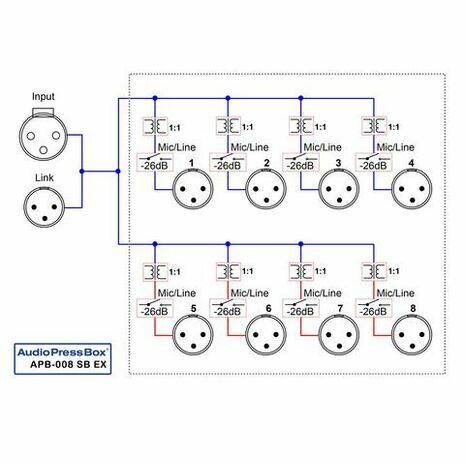 (8x4) Transformer Separately transformer isolated outputs. 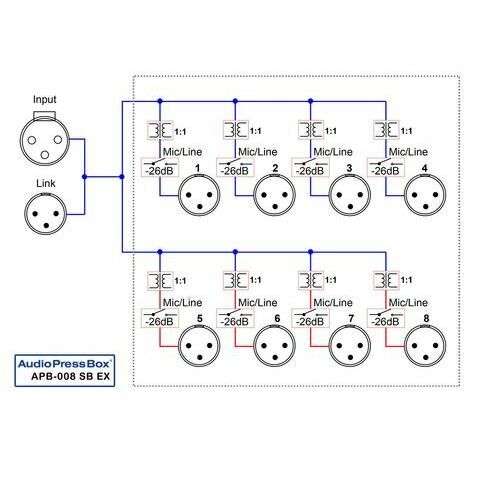 Total 32 Line/Mic outputs.